We've been told our whole lives that good things come to those who wait. Zach Freeman has slogged his way through a professional MMA career that began in 2011. Since that time he has fought for five different promotions, had multiple surgeries to repair his damaged body, and he's taken self-imposed sabbaticals to focus on a career outside the cage. A few weeks ago, Freeman's golden ticket arrived to take part in the highest-profile, likely most-viewed contest a St. Louis fighter not named Tyron Woodley has ever competed in. 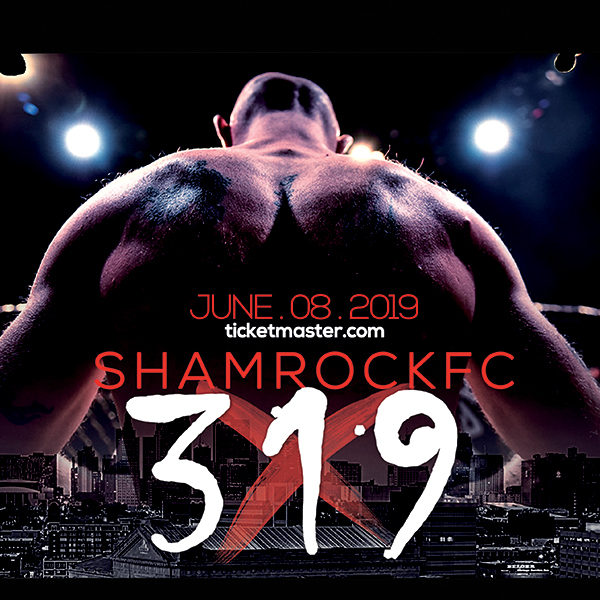 The 33-year-old Freeman will welcome 20-year-old Aaron Pico to MMA competition at the holiest of athletic venues, the world's most famous arena, Madison Square Garden on June 24. Freeman vs Pico kicks off the main card of Bellator: NYC that features such names as Chael Sonnen, Wanderlei Silva, the iconic Fedor Emelianenko, and Michael Chandler defending his Bellator Lightweight Championship. 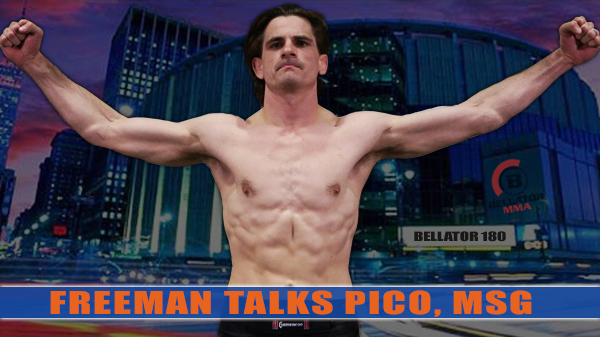 The word 'prodigy' gets thrown around quite a bit when talking about Pico, who is a former FILA Cadet (17-and-under) world and national champion wrestler and a former Golden Gloves amateur boxing champion who signed with Bellator in November 2014. Pico has the big name, the Nike contract, and is surrounded by even bigger names. His home gym is American Kickboxing Academy in Fresno, California, where fighters like Daniel Cormier and Khabib Nurmagomedov hold court. He recently announced that he's training with Eddie Bravo at 10th Planet Jiu-Jitsu and his boxing is under the watch of Freddie Roach at Wild Card Boxing, home to Manny Pacquiao and others. Bellator president Scott Coker didn't shy away from the hyperbole after signing Pico two and a half years ago. "Simply put, Aaron has all the makings of MMA's next great superstar, and to have him here at Bellator is something special," Coker put in a press release. "Like many of us in the MMA community, Aaron is someone we've been watching closely over the last few years, and after sitting down with (AKA coach) Bob Cook and his team, getting a chance to meet Aaron, and hearing his long-term aspirations, the fit became very obvious." Knuckle Junkies: So how did the Pico fight come about? You don't even have a manager. Zach Freeman: I think management is not really for everybody. I think management is for blue chip prospects or guys who don't have any connections at all. I truly believe, in fighting, if you just keep winning you're going to get some opportunities. For me, I've never really had management. Mike (Rogers, head coach at SCMMA) has helped me out but it's been one of those things that I've just always tried to take good fights and try to win. I think the reason I got this opportunity was in my last fight (an unanimous decision loss to Thiago Moises for the RFA 155 title in September 2016). Ed Soares, he represented my opponent, he knew I badly damaged my hand in that fight and he knew I was asking for a rematch so I think maybe he offered this up instead because I don't think Thiago is going to defend his title. Then Patrick (Smith) called me and said that my name had come up. Also, I truly don't know how this all came about but I know (cutman) Matt Marsden works for Bellator and I think he might have mentioned me as well as a possibility because they weren't looking for some newcomer to fight this guy. They were looking for a guy with a good record and a guy who has proven that he can fight. It's a win-win for me. Even if I lose this fight it's not like I'm fighting a chump. I'm fighting one of the best up-and-comers. I looked at it like, I could be a name overnight if I capitalize on this opportunity. KJ: What were your initial thoughts? Was it a no-brainer? Were you like, pinch me? ZF: I have a good job right now and the first thing I did was ask my bosses and I asked for their blessing. They're so supportive. My company is called Working Spaces and we're a furniture dealership and my two owners, Nancy (Apel) and Marcy (Handlan) are just really good women. When I first interviewed for the position they googled me and found out I was a fighter. I always keep that to myself because in the professional world it's not always looked on as the best. And they actually hired me almost because of it. They found out and thought that I must be very dedicated and disciplined and they found a lot of positives out of it. I got their blessing and I look at this as something I have worked hard for for a long time and it's something I can look back on and be proud of no matter what. KJ: Were there any preliminary phone calls? Did one day Rich Chou (Bellator matchmaker) just up and call? ZF: Pat (Smith) called and I was down in Texas and he asked, hey what do you think about fighting on Bellator against Aaron Pico and I had heard of Aaron Pico before. I look at it like I have some things that are benefiting me which is experience. I don't care how much he's trained boxing or wrestling, if you haven't been in a professional fight it is a different experience. You can put in all the training you want but out there it is just a little different. I looked at it like I have nothing to lose. I'm 33. It's getting toward the end of my career so I'm going to go for broke here and see where it takes me. KJ: When it comes to match-ups, is it hard because you have an opponent who hasn't done it? There are no YouTube videos to watch. ZF: I typically don't study my opponents, to be honest. I feel like that can get in your head so I typically stay away from the videos. That can be a blessing or it can be a curse. For me, fighting is more of a mental game. I'm more prepared when I'm focused on me. KJ: Have you mapped out training? Do you know what and where? ZF: I travel to Kansas City every two weeks sometimes every week. The hard part right now is structuring my training schedule. I'm getting ready to make an investment and sign on with a personal trainer and then I am going to try and catch some gyms while I am in K.C. I know there are some good gyms over there so hopefully someone would like to have me. I have a nutritionist from California called the Nutrition Vixen. I'm going to do my diet right, my conditioning right, my training right. I'm going to go into this fight prepared to give everything I get. ZF: That's how I'm looking at it. When I die one day I want to be fulfilled so what are those things that are going to fulfill me? Fighting one of the best at Madison Square Garden on a pay-per-view card, that's what I wanted. I'm doing what's going to fulfill me and make me a happy person. ZF: Fedor alone. It could have been a bunch of turds but a long as Fedor is on the card, that is just so cool. I've grown up watching him. He's never had a lot of athletic prowess, he's never had the best physical demeanor, he's just a bad dude. That's what I've always liked about Fedor. KJ: For training is it just, I need boxers, I need wrestlers. Is it as stripped down as it gets from what you know about this guy? ZF: Honestly, a lot of my training partners are going to be great guys. Of course, EJ Brooks is going to have phenomenal wrestling. Luis Pena is a great up-and-comer with great wrestling, great boxing, and great jiu-jitsu. I got Lucas Clay. I got Frank Sloan. I've got all these guys who are more than capable of preparing me for a tough fight. I feel really good about the people I have around me and our gym is as good as any in the country. I've also been at Trials MMA at Ft. Collins, Colorado with Ryan "The Lion" Schultz a big shout out to those guys.